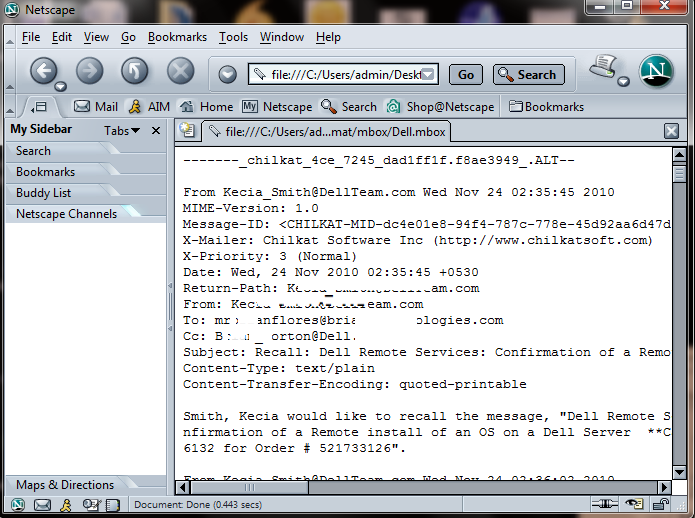 Lotus Notes to Netscape converter is used to import NSF emails to Netscape. To access Lotus Notes Emails in Netscape platform the ideal way is to convert NSF file to MBOX format by deploying qualified professional tool i.e. Lotus Notes to Netscape Converter. The product will minimize the issues related to exporting Lotus Notes NSF emails to Netscape. Learn the complete steps how to import NSF emails in Netscape by reading this article. In the very first step you need to Install Lotus Notes to Netscape Converter in your system and then load your selective NSF emails or Files to the software. Now Run the software and start the conversion process. Once NSF emails to Netscape conversion process is accomplished, now you need to import converted MBOX file to Netscape. 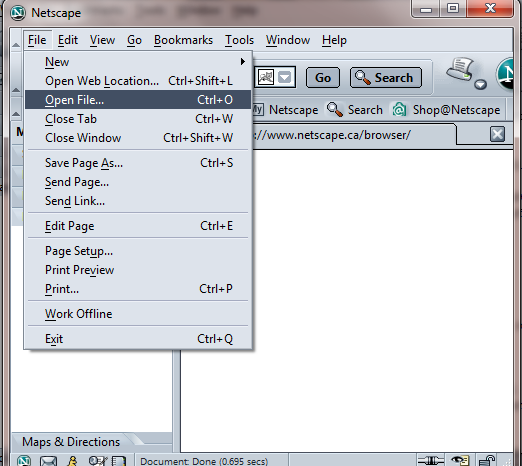 For that launch the Netscape Mail application and Go to File > Open File, Then select the file to open. Now To view and read converted MBOX file, you need to browse the file from an open window. At last after accomplishing these steps you are able to view Lotus Notes emails in Netscape application. First collaborative client/server application known as IBM Lotus Domino. Lotus Notes is an extraordinary desktop email client that provides rich emailing facilities like instant messaging, team-rooms, Micro-blogging, Browsing, Contact Managements, To-Do, File sharing and many more. It is the most powerful and secure platform to work with. IBM Notes is a cross platform application can be run on Windows and Linux OS. With the new updates from IBM Notes, now it can be found on Mobile devices via IBM Notes Traveler app. It saves all its data files in NSF (Notes Storage Format) format which is the major drawback of using IBM Notes as it is proprietary to Lotus Notes only. Formerly Netscape is remembered by the name of Netscape Communication Corporation, embedded with Netscape Navigator web browser freely. Later in 1999 it was acquired by AOL (America Online) and offer as Open Source Mozilla Application Suite that supports IMAP, POP & SMTP. It is an Email and News Client that offers all basic properties of an email client like Emails, Contact Management and many other facilities. Netscape also includes an instant messenger called as Messenger and can configure multiple accounts. 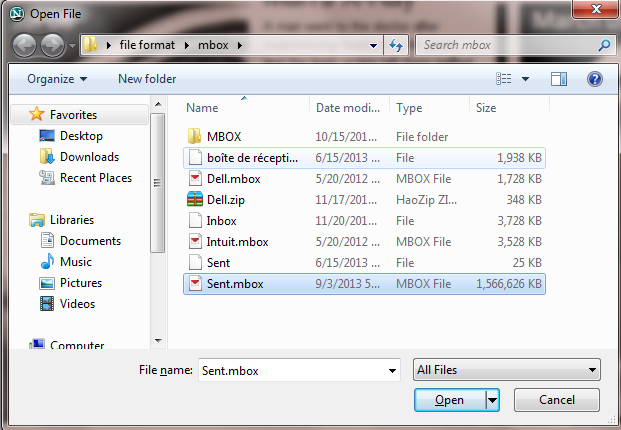 Its storage file format is MBOX which is commonly used by several email clients. Its file format made it flexible as it can be easily imported or exported to other email clients without usage of any third party tool. There are many conversion challenges between Lotus Notes to Netscape. The major challenges in NSF to Netscape conversion is the difference in file formats. Lotus Notes does not support Netscape and also Netscape not to support Lotus Notes. To access Lotus Notes emails to Netscape, one need to deploy third party utility that readily converts NSF file to MBOX format. Does tool safely migrate entire data of NSF files with their Meta Data? What happen if connection is lost in the mid of transferring file, Restarting might cause Errors and Duplicates. "The multiple options featured by the Lotus Notes to Netscape tool for converting NSF database were the greatest provision. The support team was also very helpful in working out a few technical confusions that I came across."